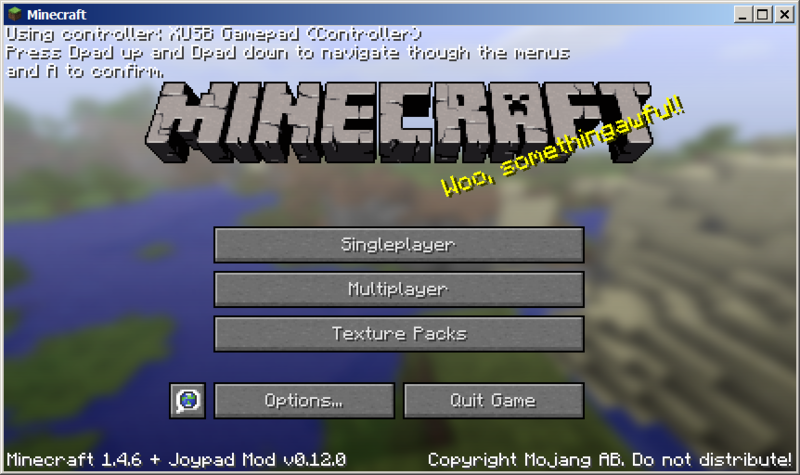 I have updated my Joypad/Split Screen mod to the newest version of the Minecraft (1.4.6). There are no new features (that I know of), but I plan to fix some long standing issues in the future, as well as investigate some possible developments. For now, enjoy the new old Joypad Mod.